Toradex’ Vybrid based CoMs utilize NXP® (formerly Freescale) Vybrid™ SoCs. The Vybrid SoC series include both single core and multi-cores flavors, based on Arm architecture. At the entry level, the SoC is single core for designing simple applications; whereas the high-end multi-core version is very well-suited for applications with human-machine interfaces and real-time constraints. The Vybrid based modules from Toradex are ideal for developing end-products targeted at diverse industrial applications. 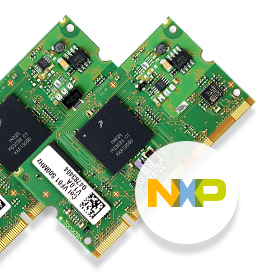 Our modules are based on the NXP (formerly Freescale) Vybrid™ VF5xx, and VF6xx.